Fully Accredited long day care centre based on the belief that each child has a right to love, care, protection from harm, & respect as an individual. 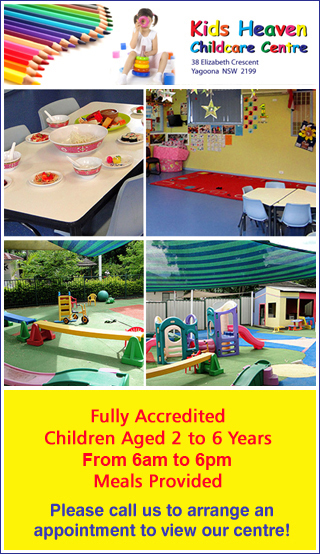 We cater for children aged 2 to 6 years old. Meals & snacks provided. 6AM - 6PM. This childcare is filled with fun, loving and caring staff that have been there for several years with many years of experience. These staff have cared for all my children and my children love coming here! I personally love the flexibility with management and the cleanliness of the service, along with the programs provided for the children. 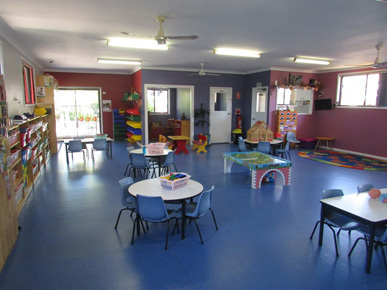 Kids Heaven Childcare Centre Yagoona is a long day care centre based on the belief that each child has a right to love, care, protection from harm and respect as an individual. 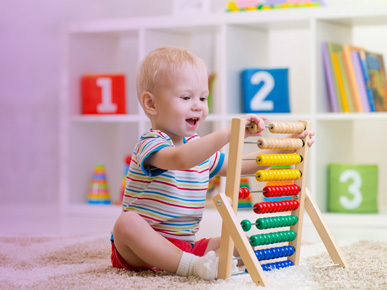 Our child care centre has bright, modern and well-resourced indoor and outdoor play areas with a wide range of activities to stimulate and educate your child. We provide healthy, nutritious snacks and meals and cater to a range of dietary requirements including halal. 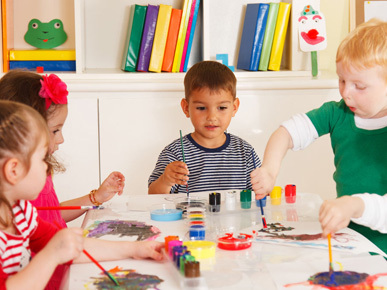 We provide the children with a caring, loving, warm, friendly and safe environment. We provide caring staff who show genuine love and concern for the children in their care. We provide a service for families where families are welcome to become partners in helping staff to develop a happy, safe and secure learning environment for each child. We provide a variety of opportunities for children to explore and make sense of their new environment through music and movement, language, gross and fine motor, science, maths, etc. We encourage children, staff and parents to respect and value each other's culture and diversity. 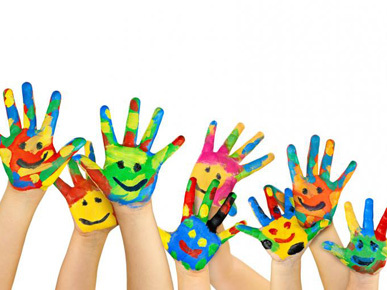 All staff at Kids Heaven Childcare Centre are encouraged to take further studies in child development and first aid. All staff at Kids Heaven Childcare Centre are encouraged to participate in regular training sessions and in-service training. We look forward to meeting you so please call us to arrange an appointment to view our centre!